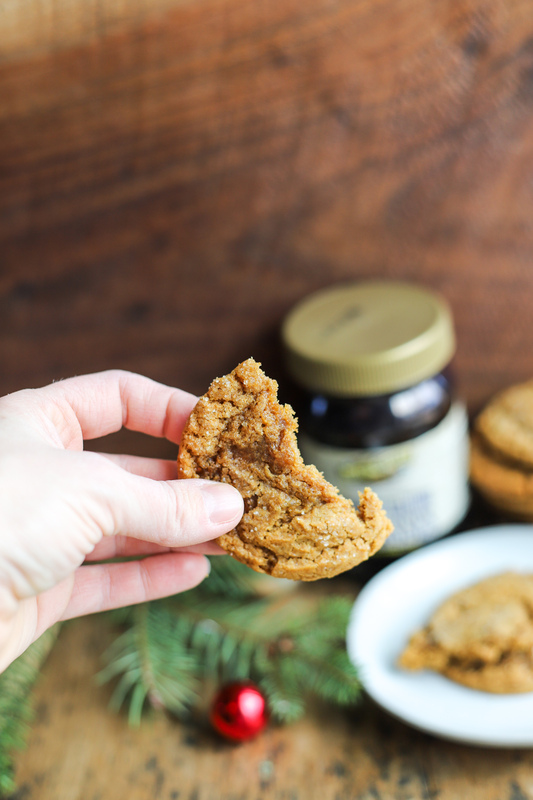 Crispy on the outside, chewy in the middle, these Chewy Double Ginger Molasses Cookies are ones to make this holiday season. 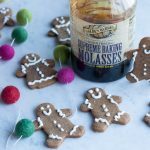 Full of that wonderful ginger taste, and complimented well with some Golden Barrel Supreme Baking Molasses, these cookies are sure to put a smile on your face and your heart in the Christmas spirit. 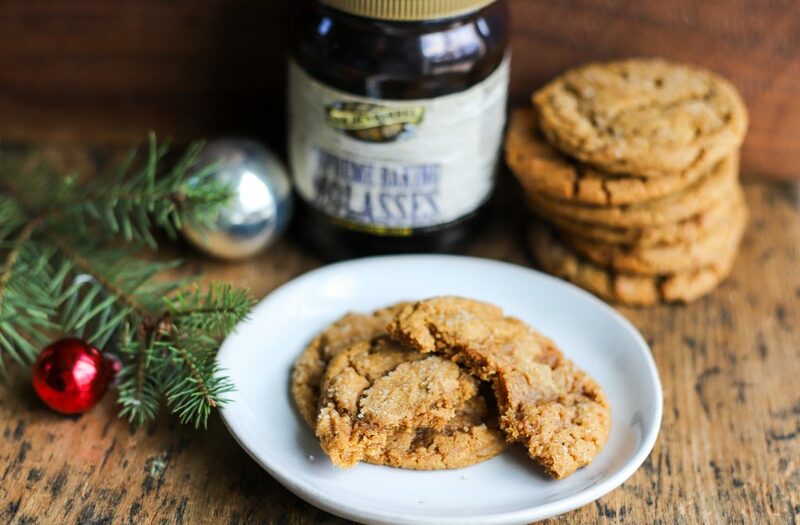 Well it’s that time of year again–time for some holiday baking! There’s nothing quite like it, is there? 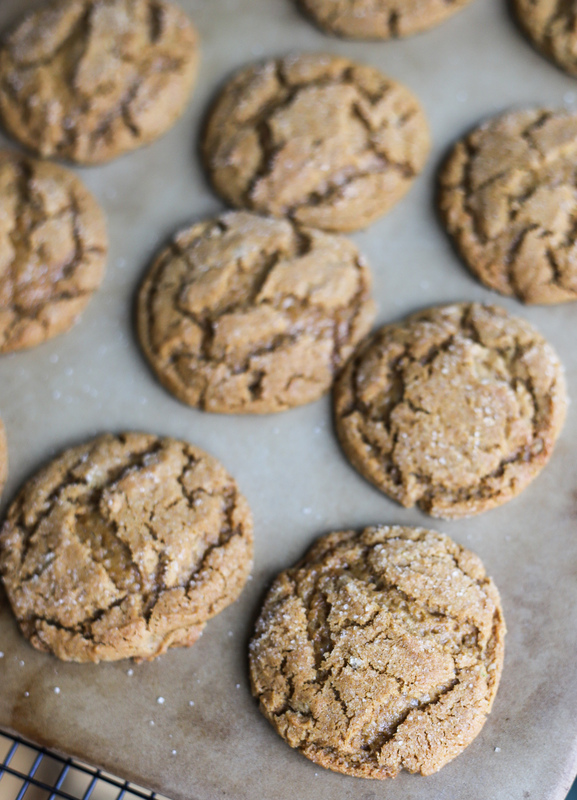 Baking in your kitchen then sharing that love with neighbors and friends…it gives me all the warm fuzzies. 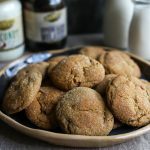 This year I was wanting to bump up my ginger game a bit so these cookies have two times the ginger in them–regular ginger powder and also crystalized ginger that adds a little more zip than a traditional ginger cookie. 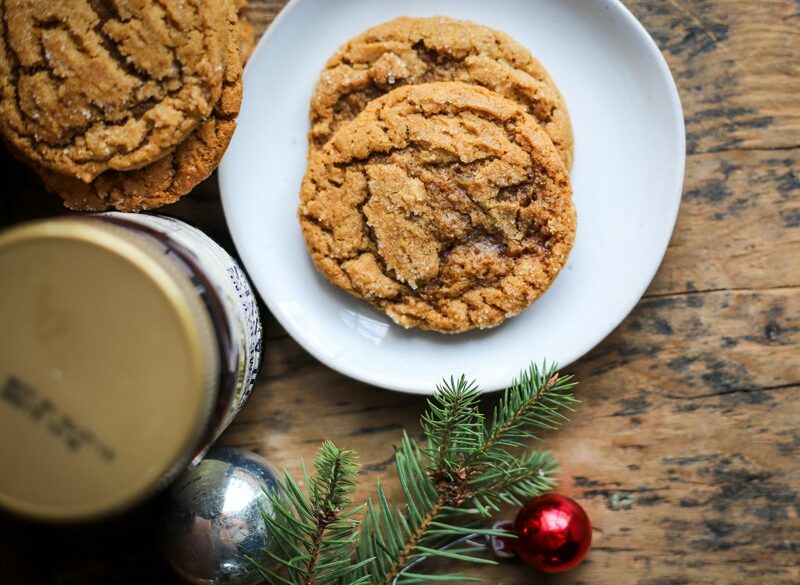 These cookies only get better with time. 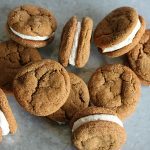 They’re still chewy but even more flavorful as they sit for a few days. So even if you don’t eat them right away, you’re still in for a big treat when you do get around to munching on them. 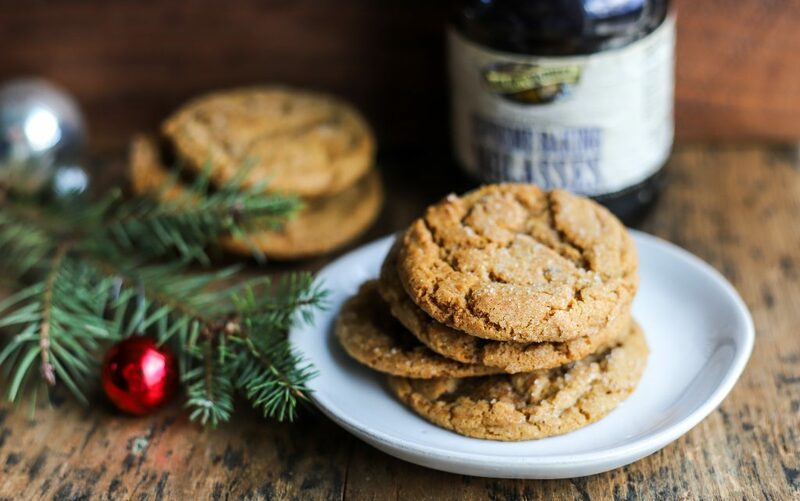 That makes them a great cookie to bake ahead of time and give out as the season wears on. 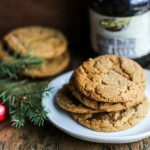 Crispy on the outside, chewy in the middle, these Double Ginger Molasses Cookies are ones to make this holiday season. In a medium-sized bowl, mix together dry ingredients: flour, ginger, soda, and salt. Set aside. In a bowl attached to a stand mixer (or with a hand mixer), cream together butter and 1 1/3 cup sugar until light and fluffy, about 3 minutes. Add egg, molasses, and crystalized ginger and mix well. With mixer on low speed, gradually add the dry ingredients to the wet ingredients and mix until just combined. Pour remaining 1/3 cup of sugar into bowl and using cookie scoop (I used a medium-sized one), scoop dough out and roll gently into prepared sugar. I only rolled the tops of mine. Line on parchment-lined cookie sheets about 1 1/2" apart. 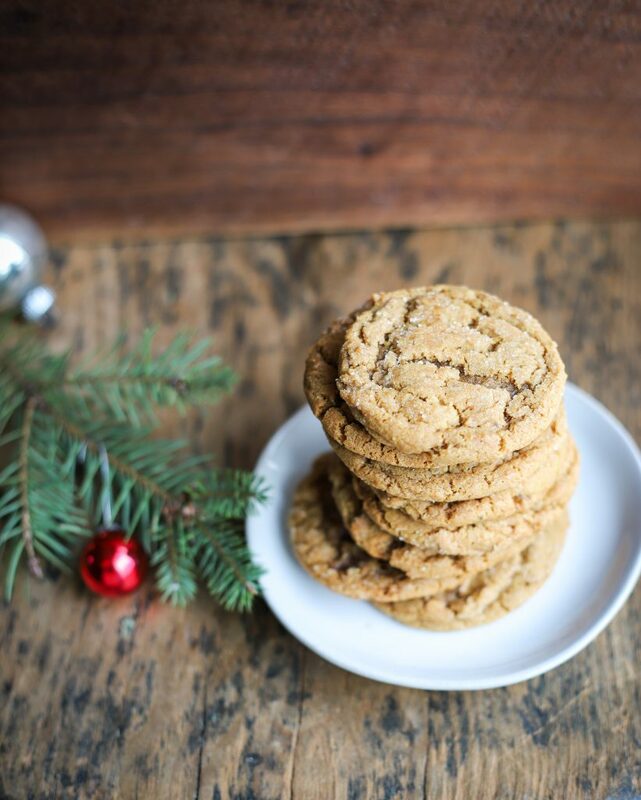 (Refrigerating the dough helps the cookie not to spread so much, but it will spread some.) Bake cookies for 10-12 minutes or until tops look mostly done. There will be some cracks that look wet...that's what you want. Let cool on baking tray for 5 minutes before transferring to wire rack to cool completely. Store in airtight container. Recipe slightly adapted from Noble Pig.